During my lifetime, there has been a steep fall in the quality and range of menswear retail around the world. Designer brands have expanded aggressively; independent multi-brand shops have closed; and department stores have often lost direction, filling up with shop-in-shops and becoming little more than potted versions of the high streets outside. But quietly, over the past decade, things have started to improve in the high-end, crafted, sartorial end of the market. Our market. The Armoury in Hong Kong was one of the first (and certainly got the most attention online). There was Trunk Clothiers in London (a city particularly lacking in multi-brand stores). And dozens more. Today there are similar stores everywhere from Toronto to Taipei. I gathered the most innovative of these retailers last week for our latest Symposium event in Florence, in order to examine how this trend has grown, and where its future lies. 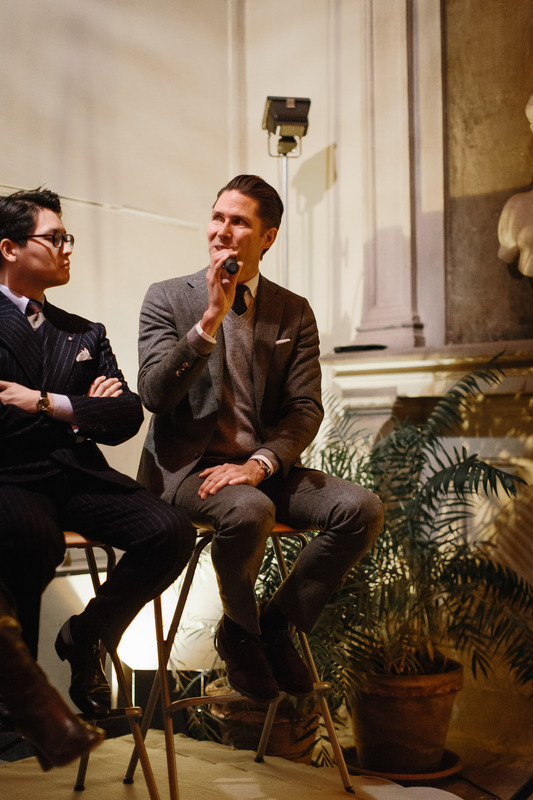 The speakers were: Mats Klingberg, Trunk; Mark Cho, The Armoury; Ethan Newton, Brycelands; Anda Rowland, Anderson & Sheppard; Patrick Lof, Skoaktiebolaget; and George Wang, Brio. 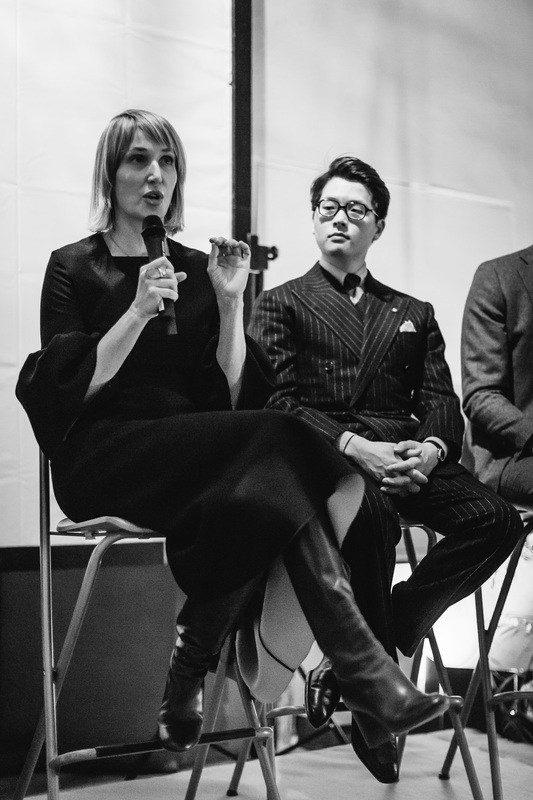 The first thing we touched on was the state of the fashion industry as a whole. Rather than designers and department stores being in decline, Anda described the situation as one of simply huge uncertainty, of everything being "in flux". Many of the stores and designer brands don't know how to react to the loss of control that social media represents, of consumers and so-called influencers having so much more power. "Consumers don't identify with brands as much any more. The original designer might not be around, or not in control, and the only interaction people have with a brand is an advertising campaign or a young salesperson in a store," Anda said. Independent stores naturally fill this void. 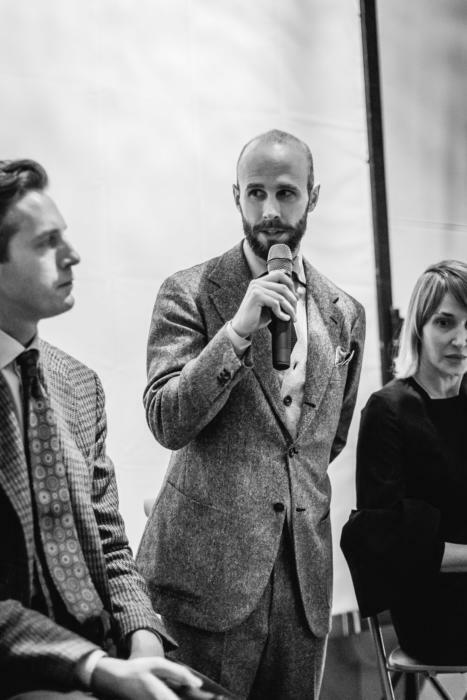 They are often founded with a clear vision; the founder is in day-to-day control, even talking to customers in the shop every day; and the difference in experience, from interacting with a graduate salesperson to Ethan Newton or Anda Rowland, is huge. "I may have an opinion, but it's about the customer understanding where that's coming from; why we like a wider shoulder or larger sleeve, rather than presenting it as the only option," he said. This is again something a designer brand can't do. Their approach is built off having a single, strong view, revealed like a holy revelation every six months. The next topic was growth. Having a clear direction when you manage a single, small store is pretty easy. Expanding that is much harder. Trunk now has two stores - with Trunk Labs a few doors down from the original store, both on Chiltern Street. "To all intents and purposes they are one store though," said Mats. "When we expanded it was because we wanted more space, to offer more things to the customer, and another store was the only way to do that." Independent stores often find expansion into new categories easier than designer brands. Independents are already curating a range of makers, so new categories just means adding more voices to that group. Easier to find an umbrella maker to your taste, than work out what a Gucci umbrella looks like. 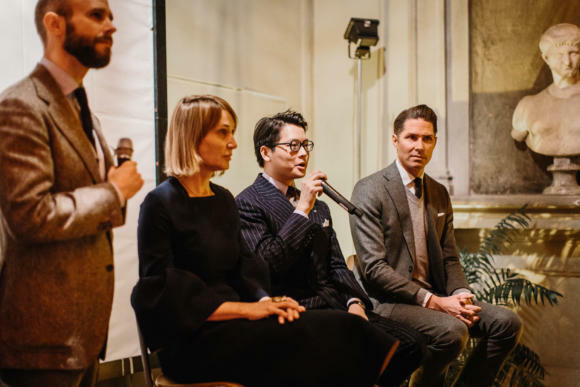 Mark Cho was the one speaker who has actively expanded, with two stores in Hong Kong now and one in New York. "Managing that wasn't easy," he said. "But we have such an international group of customers that in many cases in felt just like better customer service - having stores in more than one place they travel through." Ethan's initial reaction to this topic was quite strong, stating "if I'm not working in my store, then it's not my store anymore". But he later rowed back on that, saying he could envisage having a "superstar" that could found their own branch of Brycelands. It would just be a slightly different store. If anything, Anda's attitude to growth is the most definite. She and Audie (Charles) have always been clear that the Haberdashery is a one-off that won't have "another little one in New York". 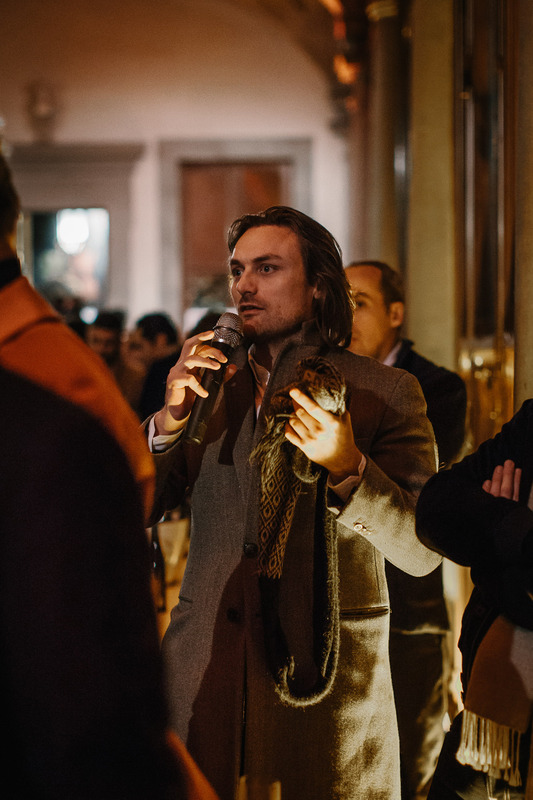 The certainty of that approach is closely tied to how successful they've been at creating the 'club' atmosphere so many independent stores aspire to. E-commerce next. This can be a tricky area for independent stores, as they often end up competing with similarly young online stores, selling similar product but with much lower fixed costs. Yet most of the speakers were pretty positive about it. First, as Patrick Lof spelled out, because it can give extra reach to a store that is pretty small and necessarily limited in its geographic reach. And second because today it is simply an extension of customer service. 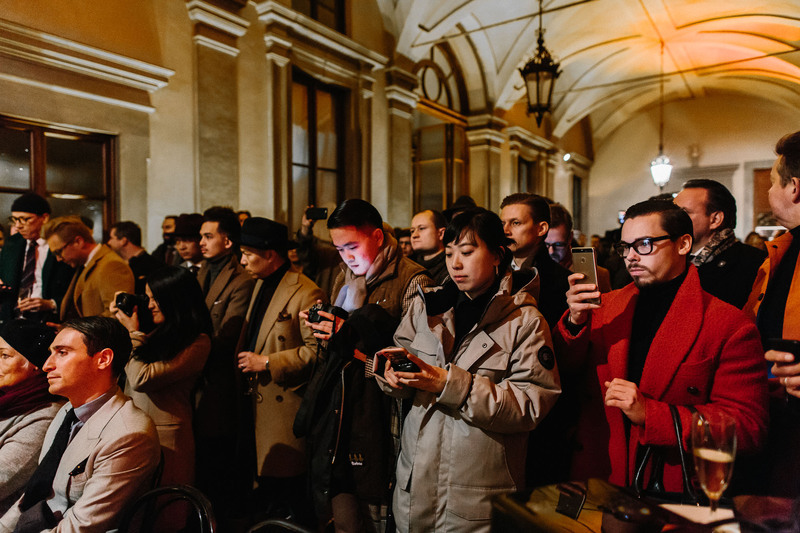 "We didn't start The Armoury with a focus on digital," said Mark, "but we find today that half the people online will browse the site first, before coming into a store to buy; and half will actually come into the store first, then buy later online. "For both groups it improves their experience and makes things more flexible." Unfortunately our new location, in the Grifoni Palace, had a few sound issues and small talk at the other end of the hall meant everyone had to speak up. But there was still, as ever at the Symposia, a highly engaged audience listening to every word - and ready with some searching questions. One, from Edward Neale at Reunidas (above), asked how much the retailers worked with local brands. There was (deliberately) a global spread of shops on the panel, after all, and some such as Brio in emerging economies. "We do work with several local Chinese companies," said George Wang. "But in every case we're looking for them to provide something unique and authentic. "We don't want a Chinese tailor that is just going to copy a Neapolitan style; we will have Neapolitans visit for that. 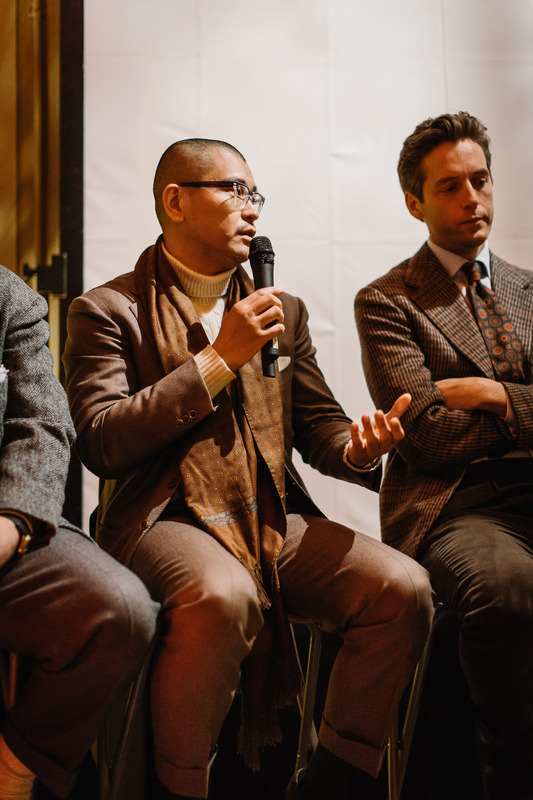 People have to have their own style and approach, and that's often something Chinese makers can struggle with." The Japanese have long had a talent, in contrast, for taking the best things from the west and making them even better - whether in denim or whisky. And Ethan highlighted the local makers he uses for pieces like his 1947 501 Levi's. The other interesting question was how stores find working with small, often old-fashioned manufacturers. The question came from a consultant to many such makers, and it was a particularly pertinent one. For today independent stores often discover, promote and launch brands into new markets (eg Incotex and Boglioli with Trunk in the UK), only to find that the brands use the exposure to launch into more stores, eroding the original store's USP. Mark highlighted a particular issue with a shoe brand (which shall remain nameless) that became so popular they had difficulty getting enough supply. "Promoting a brand can come back to bite you, it can actually make your business more difficult as they do well. "But then promoting people we believe in is what we're all about as stores," he said. "We're not about to stop doing that." Thanks to one and all for speaking, attending, and making the Symposium series what it is today. See you again in six months. You can follow the discussion on Retailers Symposium: The discussion by entering your email address in the box below. You will then receive an email every time a new comment is added. These will also contain a link to a page where you can stop the alerts, and remove all of your related data from the site. As someone who has learnt of quality brands such as Boglioli and Incotex ,and then purchased them from Trunk and other outlets, I would kindly request an article by PS listing these types of quality brands. Interesting that some of these brands use small outlets to establish a foothold to grow and then replicate the large scale ‘big logo’ brands . As if to ‘sell out’ on their original principles and chase bigger profits. Conversely you then mention one that won’t allow itself to grow beyond the ‘club’ feel. In which case how can true quality clothes be available to the masses ? I thought the idea was to have these smaller outlets grow so that they could expand , lower prices but maintain quality and attract more customers to true quality clothing..
Or should quality always remain elusive ? To an extent Permanent Style is a collection of those brands, and they are listed on our Brands page, but I appreciate that could be refined. It was not suggested that as brands like Incotex grow, they necessarily sell out. But there are often production constraints at some point – and more importantly, to reach a larger market they often need more marketing and advertising, which increases the price or puts pressure on production costs. On a seperate note. Is there any chance you could do an article on how you fold and pack your suits and formalwear for travel. I am due to travel to the USA in April and will need to take my dinner suit with me. I would be really grateful to know how to fold and pack it to prevent it loosing its structure and becoming creased. Actually it’s easy. They launched at Pitti last year and were there again this year. Invest in a Vocier suitcase – engineered so your suit will not crease. Won Gold German design award and Dyson award. Can’t be bad. Look them up. I’ve reviewed them Paul. Didn’t find it that intuitive and useful, although a nice idea. Any discussion on their own brands? Most independent retailers are looking to where the margins are more attractive. Thank you for this article Simon. I appreciate your paying attention to the business side of menswear. It helps to understand why something might cost so much more or why it is only available in limited amounts. I wonder what George Wang thinks a “chinese” style or take on classic menswear would look like. Niche brands may use the exposure gained from independent shops to launch into new markets but customers tastes evolve too. I little vanity perhaps as stealthy brands become well known but it’s a natural (if expensive) journey for a lover of well-made clothes from Boglioli to Drakes to bespoke etc. Simon, thank you for a very informative piece: I wish I had been able to attend in person! I think the comments around the intangible piece of the industry – i.e. service – probably sum up why I continue to support places like Trunk. The confidence one has in good staff (emphasis on those words!) who can really assist you in pulling an outfit together cannot be overstated. Your blog does a terrific job of highlighting this: this symposium a case in point. Thank you again. As to the internet this is fine once you know the size etc that you need; never a substitute for being able to see and try on something plus that very valuable commodity of personal service you get. Hopefully the other quality houses will follow A&S’s excellent example of a haberdashery, a pleasure to visit that place. Fantastic article Simon. Great summary, I was a bit lost with so many people there and could not hear any of you. So thanks for pulling this out nicely. Thank you once more for including us in the discussion Simon and many thanks too to Kev Fidler for his kind mention of our Haberdashery. We hope that he will be able to visit us again soon. A very interesting and useful forum and report. 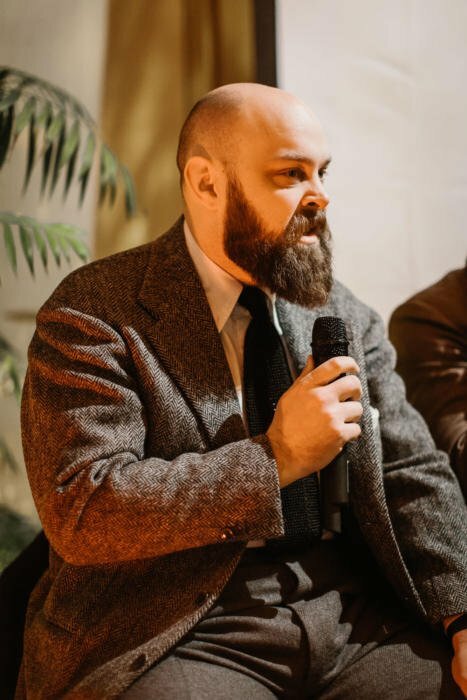 In my view, the very reason for independent stores’ success makes the model so hard to scale: the knowledge, the meticulous attention to detail, the personal connection between customer and owner or trusted sales person are all difficult to replicate across cities, let alone countries. Japan perhaps defies this, with chains like Beams F, United Arrows or Strasburgo etc showing what ‘independence at scale’ could look like (although Japan as a market is so unique that I don’t see this as a template). 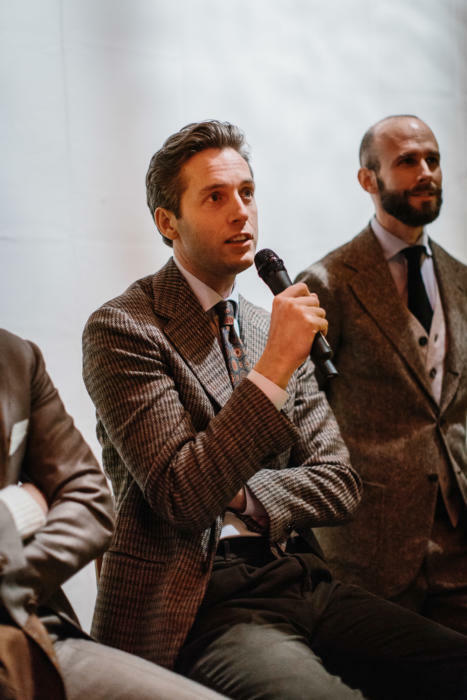 I wonder about the relationship between the more mass market classic menswear brands like Boggi Milano, Hackett and Suit Supply, perhaps even Massimo Dutti and our independent shops. Are the former indirectly feeding the latter, teaching (new generations of) consumers what ‘dressing well’ means by way of their broader footprint, deeper marketing pockets and more accessible price points, with some of those consumers ‘graduating’ to independent stores and their offerings? Could active collaboration with these brands perhaps even help independents grow? There are things designer brands would hardly do because the cost were unbearable. The same hold true for big stores. Hence the wiggle room for the shops, which are of interest to us. But their future – regardless of their own PR and use of social media – is going to highly depend on the kind of endeavour that defines PS. The opportunity for the thinking independent has never been better. Globalisation plays enormously in their favour. The more the multinationals stretch to expand, the more they banalise their brands and compromise on quality. In doing this they leave space for what they give up – exclusivity, quality and proximity. The key question for the independent is how do you manage the economic equation in a business which is, in the case of bespoke, not scalable? It can be done but it requires focus and consummate skill. I don’t know if A&S makes good money or not. I hope they do because with the Haberdashery they have the best man’s store in London and it’s ran by two great women! Anda Rowland understands luxury and knows that when the chef leaves the kitchen the restaurant is never the same. Hence her reluctance to expand and she is right! Glad to see the sartorial end thriving and that you’re covering it. I noticed a lot of tweed. Is tweed in town ok in London? It depends on most things more than the fact you’re in London. Your occupation, your activities, the company you’re in. It’s a long time since there could have been said to be society across London that meant a universal attitude to propriety and dress. Great article Simon, thanks. Very relevant for me as I have recently launched my online retail business (in UK). Your writing has greatly influenced the kind of products we plan to add. Would love know further your views on how you see the future of e-commerce stores (with no brick and mortar presence). I’ve observed your website for a long time but never commented but thought it is a good time to do so since this discussion happened. My reflection upon the discussion of independent retail is that you can’t fight the battle by yourself. The reality is that most people buy high-street fashion. Why you ask? Just simply walk outside central London. How is it possible that the average London resident afford such high quality clothing that this website, or any of the tailors are asking to pay in the region of thousands of pounds? The scale of those with money and with very little is so incredibly high that the discussion goes far beyond the quality and range of clothing offered. Which is then why Anda brings up her answer of communication mediated through advertising rather than a tailor. People can simply not afford bespoke clothing. What I feel about independent men’s retailing is that you are in the same business and cannot fight it alone. And discerning consumers are not necessarily going to be swayed into buying bespoke because they have to wait for such a long time. It’s problematic because many men’s clothiers happen to be tailors but they only offer suits, ties, accessories. E-commerce websites are offering all other necessities which can be bought with the single price of a bespoke suit. 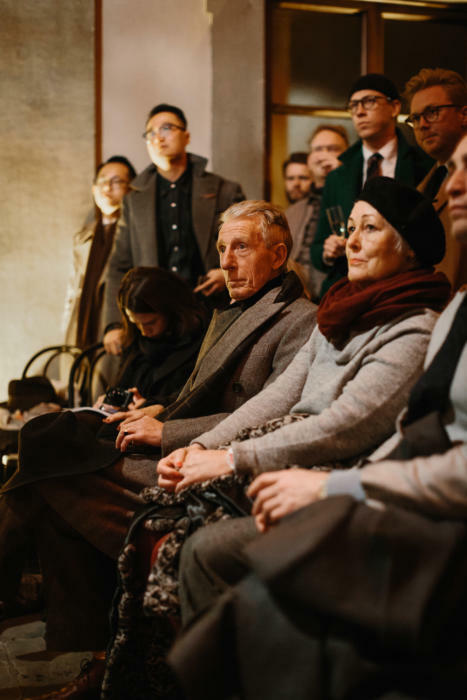 London has to contend with affordability and dealing with the brutal reality that it’s same consumer that bespoke or independent menswear also should be vying for. It’s not losing one’s individuality but the “clubiness” just induces intimidation which makes it lousy for business. There will always be room for something that is new, different and better. Much more difficult for the Indie is how you sustain the business. A classic example of how it can be done is Nigel Cabourn. Nigel has been ploughing more or less the same furrow since the early ’70s. 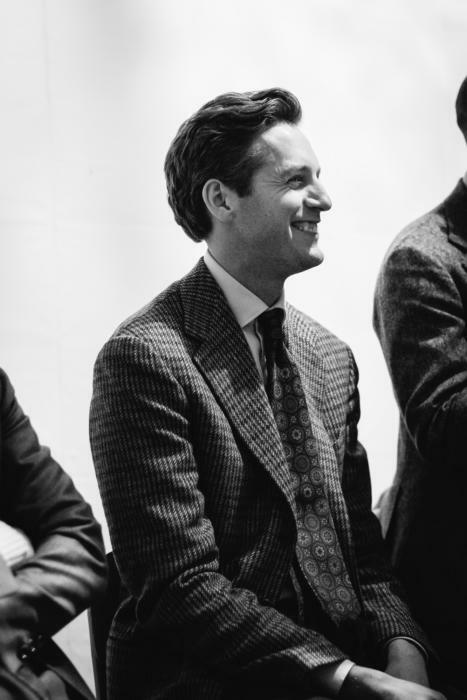 He’s had his ups and downs and has hopefully prospered and he’s done it by his enthusiasm and passion for a very particular look that is manufactured to a very high standard.